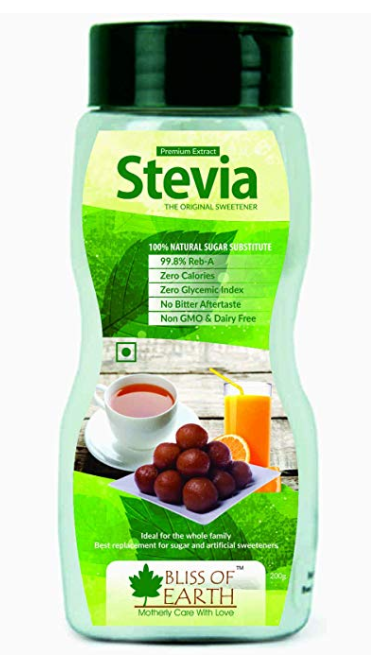 HEALTHY ALTERNATIVE TO SUGAR WITH HIGHEST PURITY: Bliss of Earth Stevia Powder is 99.8% pure & can sweeten your day without harming your health. You can use it to sweeten your drink & desserts without adding that Extra Calorie to your meals. What’s more because it’s highly concentrated, 1 jar should last you up to 2+ months.